Come roll with the geeks, and see what a tour without boundaries feels like. Rolling Geeks are self drive electric cars, complete with pre-programmed GPS that not only take you on the perfect tour, but explain what you’re looking at too. The Rolling Geeks bring you to places that are not accessible by other modes of transport. Not only do you get to visit some areas that you wouldn’t have known existed, but more importantly the commentary stops, whenever you chose to stop, until you are ready to move along. So you get all the benefits of an organised excursion, but with the freedom of being in your own quirky electric car. There really is no contest. 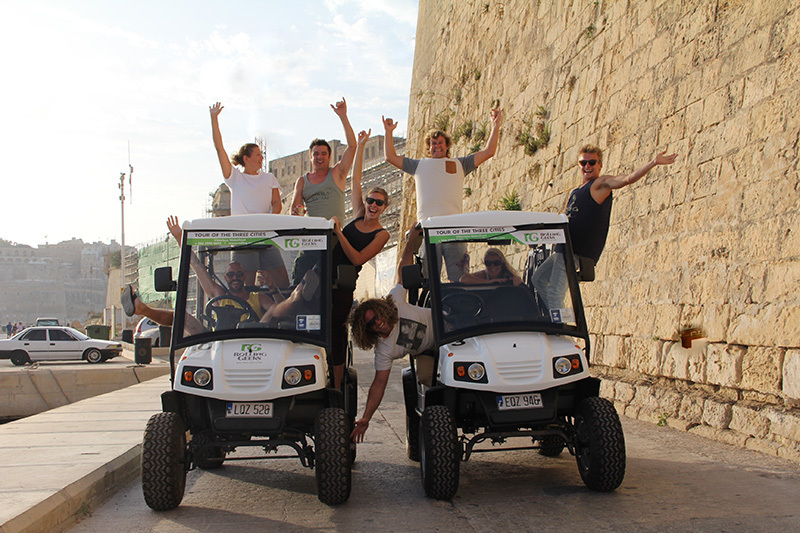 The cars are unbelievably fun, safe and easy to drive, not to mention environmentally responsible, letting you experience authentic Maltese culture and climate first hand and at your own pace. It’s your tour, your way. 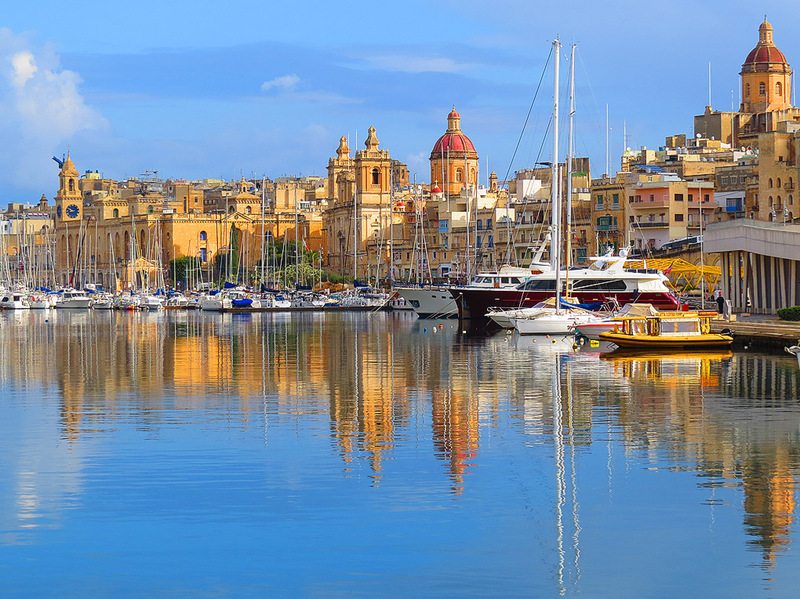 Start off by enviously scoping out the yachts in the beautiful, Grand Harbour Marina. Then enjoy the trendy waterfront lined with cafés and restaurants, before touring to the secluded sandy beach of Rinella Bay – and that’s just the warm up act. There are plenty more things to do and to see. The tour encompasses everything from the famous Malta Film Studios, to imposing forts and awe-inspiring churches, to the tiny charming streets and traditional piazzas that characterise this area. With each turn of the wheel, your talking car tells you about the sights in English, French, Spanish, German, Italian, Dutch, Russian or Mandarin. Undoubtedly this is a truly unique way to explore one of the most authentic and interesting parts of Malta full of architectural riches and breathtaking views. You’ll have a tough time capturing it all on camera. The selfies feature in the cars adds to the fun. The staff at the office will Email these to you after the tour. With all this excitement going on, it can happen that one takes a wrong turning. No problem geeks to the rescue…the vigilant team from the office are only a phone call away. 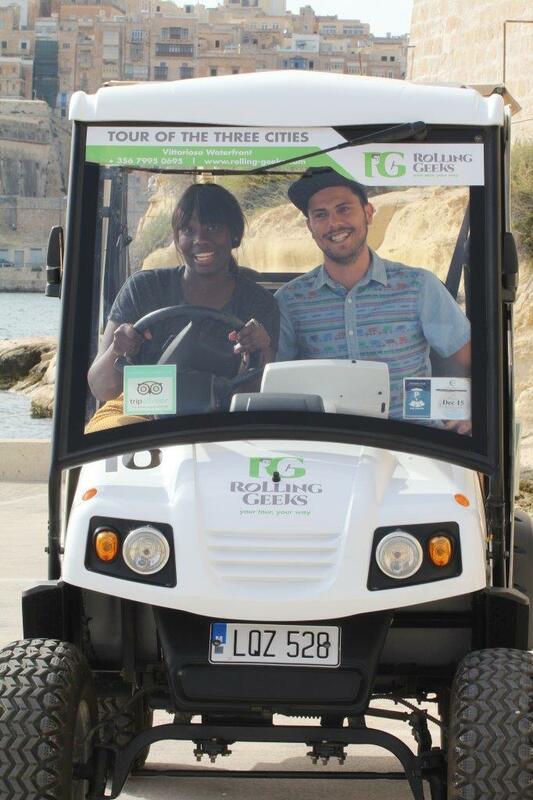 The online tracking system enables the Rolling Geeks staff to follow the cars and thanks to their in-built two way communication system you have peace of mind and assistance throughout the tour. The roads are very quiet, compared to other areas in Malta and it’s very easy to find a parking space whenever and wherever you wish to stop. The cars are open with roof shades making them an ideal mode of transport in the hot summer months, as you are seldom in the same position for long and the wind through the hair keeps you cool. In the cooler winter months the cars come with rain covers to keep you all snug and dry. The staff at the office is eager to share its knowledge about the area to ensure you have a terrific experience, whether it’s advice about museums, attractions, events, great restaurants etc. Their office in Vittoriosa Waterfront (Birgu waterfront), is easy to reach by bus or ferry from Valletta. Private transfers by traditional boats, speedboats or taxis can also be arranged from the office. Overall this is a great value for money experience, suitable for all ages. Great if you are a driver……which I’m not.